This position is classified as a guidebook and it has the word “guide” in the title, but it certainly is not a typical guidebook. It is more a beautiful souvenir from Prague. This unique book unfolds to a length of 1.5 m (4′ 11”) and presents the most important landmarks and sights of the Czech capital: Prague Castle with St Vitus Cathedral, Charles Bridge, Golden Lane, Old Town Square, the Astronomical Clock, Petřín Hill, Municipal House, Wenceslas Square, the National Theatre and more. The author of the beautiful illustrations is Nina Cosford, who works as a freelance illustrator travelling around the world and recording amazing places in her drawings. 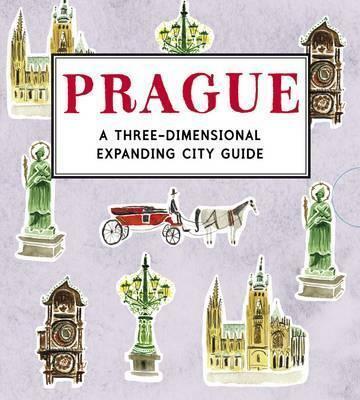 The book is presented in a stylish slipcase and will be a great gift or souvenir for all fans of Prague.